Black Spruce (Picea mariana) is a coniferous evergreen that grows slowly. It is a member of the Pinaceae family of plants, so is related to pine (Pinus sylvestris). Black spruce essential oil smells like resin and fresh wood. It is sweet and green with a fruity undertone. There are actually two spruce essential oils that you will come across. Besides black spruce, there is also spruce (Picea abies). They are alike in many ways. Both are evergreen conifers, but spruce can grow to over 180 feet while black spruce usually grows to only 60 feet. Spruce trees have dark green needles, and black spruce needles are more blue-green. Both spruce essential oils are antibacterial, antifungal, anti-inflammatory, antispasmodic, antitussive, expectorant, and tonic in their actions. However, black spruce is also an insect deterrent and a pectoral. Remember, essential oils from both are not the same as spruce extract. Nonetheless, the oils can often be used as a substitute for one another. Both oils are a pale yellow or colorless. Regular spruce has more of a fresh coniferous aroma and does not have the woody and fruity undertones like black spruce. 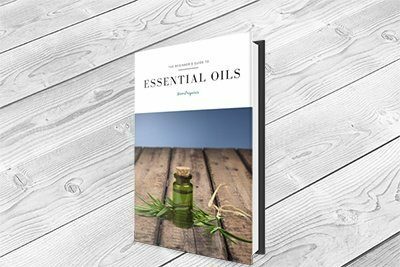 Black spruce essential oil blends well both Atlas and Virginia cedarwoods (Cedrus atlantica) and (Juniperus virginiana), German chamomile (Matricaria recutita), lemon (Citrus limonum), peppermint (Mentha piperita), rosemary (Rosmarinus officinalis), and many others. Regular spruce blends well with bay laurel (Laurus nobilis), cedarwood (Cedrus atlantica), geranium (Pelargonium graveolens), lavender (Lavandula angustifolia), sweet orange (Citrus sinensis), pine (Pinus sylvestris), tea tree (Melaleuca alternifolia), and more. The following are just a few of the uses for black spruce. Make an insect deterrent spray with black spruce to keep bugs at bay. This can be as simple as adding 10-20 drops into 8 ounces of water in a spray bottle and spraying the areas you want to be kept bug-free. Both spruce oils are antibacterial and can fight off skin infections. You can make a wound wash by adding a couple of drops of either oil into a small basin of water, swishing it around, and using a cloth or sponge to clean the wound. You can also use black spruce for inflammatory skin conditions like eczema and psoriasis. Add three drops of the essential oil to a teaspoon of a carrier oil and rub into the area. Hemp seed oil (Cannabis sativa) is an excellent choice for this, as it has anti-inflammatory properties itself. If you have dandruff, try adding a few drops of spruce oil to your shampoo. For acne, mix three drops of black spruce oil into a teaspoon of coconut (Cocos nucifera) oil. Massage into the pores after cleaning your face each night. As an antifungal, spruce essential oil can be effective for athlete's foot. You may find relief from pain and itching by soaking your feet in a warm foot bath infused with 4-5 drops of the oil. Allow the feet to soak for 20-30 minutes. Follow up the bath with an antifungal rub, made by blending three drops of spruce oil with one teaspoon of a carrier oil. Not only is this method effective in fighting the fungal infection that causes athlete's foot, but it can also help rid your toenails of fungal infections. There are a number of health benefits from black spruce essential oil, which is sometimes called blue spruce because of the conifer's needle color. Here are some of the more popular ones. Note that regular spruce, or (Picea abies), can be utilized in the following ways as well. Respiratory infections can occur at any time of the year but are more likely to hit you around cold and flu season. The symptoms can be eased by breathing in steam infused with essential oils. Both spruce oils can be used for facial steaming. Simply add a couple of drops to a bowl of steaming water. Drape a towel over the back of your head to trap the steam. Keeping your face approximately 12 inches from the water, breathe in the steam for about 5-10 minutes. If you start to feel lightheaded or experience any other adverse reactions, stop immediately. This method can help with loosening phlegm, breaking up mucus in the nose, and relieving pain associated with the infection in the lungs and nasal passages. You can also use this type of steaming to unblock pores or for sinus infections. Both spruce oils can also be helpful in massage oils for muscle and joint pain, as they are both anti-inflammatories. Add 3-4 drops of either oil or a combination of the two to a teaspoon of coconut (Cocos nucifera) oil. Rub into the affected areas. You can also make a simple liniment by adding the drops to a ¼ cup of rubbing alcohol. Shake well and rub into the muscle or joint that is aching. We all suffer from fatigue from time to time, and essential oils in a diffuser can help fight the sleepiness that occurs from lack of sleep, boredom, or the afternoon drop in energy. Add either spruce oil to your room or personal diffuser to get a great-smelling pick-me-up that can help boost your immune system in the process. There are very few research articles available for black spruce oil. For instance, searching "black spruce essential oil" brings up one article on PubMed at the time of this writing, and using the botanical name comes up with none. An article in the World Journal of Microbiology and Biotechnology examined the essential oils from trees leftover from logging operations in Canada. The trees included black spruce, balsam fir (Abies balsamea), jack pine (Pinus banksiana), white spruce (Picea glauca), eastern white cedar, otherwise known as thuja or arborvitae (Thuja occidentalis), and tamarack (Larix laricina). This does not mean that you should use these oil interchangeably or for these purposes for that matter. For example, thuja is highly toxic and should not be used for aromatherapy purposes. Only use essential oils that have been proven safe, and always practice safety and stay within recommended dilution limits. Do not use either spruce undiluted. There is very little research on black spruce oil. Nonetheless, the spruce oils can be used at home. Like any essential oil, be sure to procure spruce oils from a reputable supplier. Always pay attention to the botanical name of the oil, so you know what you are working with. Never use an oil without performing proper research first.